For other uses, see Valladolid (disambiguation). Valladolid (/ˌvælədəˈliːd, -ˈlɪd, ˌbɑːjə-/; Spanish: [baʎaðoˈlið] ( listen)) is a city in Spain and the de facto capital of the autonomous community of Castile and León. It has a population of 309,714 people (2013 est. ), making it Spain's 13th most populous municipality and northwestern Spain's biggest city. Its metropolitan area ranks 20th in Spain with a population of 414,244 people in 23 municipalities. The city is situated at the confluence of the Pisuerga and Esgueva rivers 15 km before they join the Duero, and located within five winegrowing regions: Ribera del Duero, Rueda, Toro, Tierra de León, and Cigales. Valladolid was originally settled in pre-Roman times by the Celtic Vaccaei people, and later the Romans themselves. It remained a small settlement until being re-established by King Alfonso VI of Castile as a Lordship for the Count Pedro Ansúrez in 1072. It grew to prominence in the Middle Ages as the seat of the Court of Castile and being endowed with fairs and different institutions as a collegiate church, University (1241), Royal Court and Chancery and the Royal Mint. The Catholic Monarchs, Isabel I of Castile and Ferdinand II of Aragon, married in Valladolid in 1469 and established it as the capital of the Kingdom of Castile and later of united Spain. Christopher Columbus died in Valladolid in 1506, while authors Francisco de Quevedo and Miguel de Cervantes lived and worked in the city. The city was briefly the capital of Habsburg Spain under Phillip III between 1601 and 1606, before returning indefinitely to Madrid. The city then declined until the arrival of the railway in the 19th century, and with its industrialisation into the 20th century. The Old Town is made up of a variety of historic houses, palaces, churches, plazas, avenues and parks, and includes the National Museum of Sculpture, the Museum of Contemporary Art Patio Herreriano or the Oriental Museum, as well as the houses of José Zorrilla and Cervantes which are open as museums. Among the events that are held each year in the city there is Holy Week, Valladolid International Film Week (Seminci), and the Theatre Festival and street arts (TAC). There is no direct evidence for the origin of the modern name of Valladolid. One widely held etymological theory suggests that the modern name Valladolid derives from the Celtiberian language expression Vallis Tolitum, meaning "valley of waters", referring to the confluence of rivers in the area. Another theory suggests that the name derives from the Arabic expression Balad al-Walid بلد الوليد, which means "city of al-Walid", referring to Al-Walid I. Yet a third claims that it derives from Vallis Olivetum, meaning "valley of the olives"; however, no olive trees are found in that terrain. Instead, in the south part of the city exist an innumerable amount of pine trees. The gastronomy reflect the importance of the piñon (pine nut) as a local product, not olives. In texts from the middle ages the town is called Vallisoletum, meaning "sunny valley", and a person from the town is a Vallisoletano (male), o Vallisoletana (female). The city is also popularly called Pucela, a nickname whose origin is not clear, but may refer to knights in the service of Joan of Arc, known as La Pucelle. Another theory is that Pucela comes from the fact that Pozzolana cement was sold there, the only city in Spain that sold it. The Vaccaei were a Celtic tribe, the first people with stable presence on the sector of the middle valley of the River Duero documented in historical times. Valisolet, 1640, engraved by Germans Daniel Meisner and Paulus Fürst. The "Paseo de Zorrilla" (English: The Zorrilla's Mall) in the 1970s. Remains of Celtiberian and of a Roman camp have been excavated near the city. The nucleus of the city was originally located in the area of the current San Miguel y el Rosarillo square, and was surrounded by a palisade. Archaeological proofs of the existence of three ancient lines of walls have been found. During the time of Muslim rule in Spain the Christian kings moved the population of this region north into more easily defended areas, and deliberately created a no man's land as a buffer zone against further Moorish conquests. The area was captured from the Moors in the 10th century, and Valladolid was a village until King Alfonso VI of León and Castile donated it to Count Pedro Ansúrez in 1072. He built a palace (now lost) for himself and his wife, Countess Eylo, the Collegiate of St. Mary and the La Antigua churches. In the 12th and 13th centuries, Valladolid grew rapidly, thanks also to the commercial privileges granted by the kings Alfonso VIII and Alfonso X, as well as to the repopulation of the area after the Reconquista. In 1469 Queen Isabella I of Castile and King Ferdinand of Aragon were married in the city; by the 15th century Valladolid was the residence of the kings of Castile. In 1506 Christopher Columbus died in Valladolid "still convinced that he had reached the Indies" in a house that is now a Museum dedicated to him. It was made the capital of the kingdom again between 1601 and 1606 by Philip III. The city was again damaged by a flood of the rivers Pisuerga and Esgueva. Despite the damage to the old city by the 1960s economic boom, it still boasts a few architectural manifestations of its former glory. Some monuments include the unfinished cathedral, the Plaza Mayor (Main Square), which was the model for that of Madrid, and of other main squares throughout the former Spanish Empire, the National Sculpture Museum, next to the church of Saint Paul, which includes Spain's greatest collections of polychrome wood sculptures, and the Faculty of Law of the University of Valladolid, whose façade is one of the few surviving works by Narciso Tomei, the same artist who did the transparente in Toledo Cathedral. The Science Museum is next to the river Pisuerga. The only surviving house of Miguel de Cervantes is also located in Valladolid. Although unfinished, the Cathedral of Valladolid was designed by Juan de Herrera, architect of El Escorial. Winter in the city gardens of Campo Grande. At an elevation of 735 metres or 2,411 feet, the city of Valladolid experiences a hot-summer Mediterranean climate (Csa) with influences of a cold semi-arid climate (BSk). Valladolid’s climate features cool and windy winters due to altitude and an inland location. Fog is very typical. Winters experience snow and low temperatures below freezing during cold fronts. Valladolid's climate is influenced by the distance from the sea and its higher altitude. Temperature ranges can be extreme and Valladolid is drier than Spain’s northern coastal regions, although there is year-round precipitation. Average annual precipitation is 435 mm (17,12 in) and the average annual relative humidity is 65%. In winter, temperatures very often (almost every second day) drop below freezing, often reaching temperatures as low as −8 °C or 17.6 °F, and snowfall is common, while the summer months see average high temperatures of 30 °C or 86 °F. The lowest recorded temperature in Valladolid was −18.8 °C or −1.8 °F and the hottest 40.2 °C or 104.36 °F on 19 July 1995. Palacio de Santa Cruz, this building currently houses two museums and also is the rectory headquarters of the University of Valladolid. Education in Valladolid depends on the Ministry of Education of the Government of Castile and Leon, who assumes the responsibility for education at the regional level, both the university level and in non-universitarios. According to the Ministry itself, an estimated in the academic year 2005–2006 the total number of university students was not more than 52 000, which are available to 141 schools, with 2399 and 4487 classroom teachers. University of Valladolid, founded in 1241, is one of the oldest universities in the world. It has four campuses around the city – Huerta del Rey, Centro, Rio Esgueva and Miguel Delibes – and in three other provinces of Castilla y León: Palencia, Soria and Segovia. Spread over 25 colleges and their associated centers, about 2000 teachers give classes to more than 23,800 students enrolled in 2011. It also features the 25 centers, a number of administrative buildings such as the Palacio de Santa Cruz, where the rector, and the Museum of the University of Valladolid (MUVa), The Student House, featuring the other administrative services, or CTI (Center for Information Technology), located in the basement of the University Residence Alfonso VIII, next to the old Faculty of Science. Miguel de Cervantes European University. The UEMC is a private university, which has 1,500 students. Spread over three faculties: Social Sciences, Law and Economics, Health and the Polytechnic School, eleven qualifications. Taught recently has made an expansion to its campus with the construction of a new building that doubles the area devoted to teaching and research, as well as incorporating a dental clinic and a new library. Lycée Français de Castilla y León, a French international school, is near Valladolid, in Laguna de Duero.San Juán Bautista de La Salle School, a High Private College in Valladolid. Integral and Superior Education. Integrates Kindergarten, Primary School and High School. The capital of Castile y León preserves in its old quarter its heritage of aristocratic houses and religious buildings. Iglesia conventual de San Pablo. The unfinished Cathedral, commissioned by King Philip II and designed by the architect Juan de Herrera in the 16th century, following a Mannerist style perhaps influenced by Michelangelo. The church is unfinished owing to financial problems and its nave was not opened until 1668. Years later, in 1730, Master Churriguera finished the work on the main front. Inside the cathedral, the sanctuary houses a reredos made by Juan de Juni in 1562. The complex is linked to the Diocesan Museum, which holds carvings attributed to Gregorio Fernández and Juni himself, as well as a silver monstrance by Juan de Arce. The large Gothic church of San Benito, built by the Benedictines between 1500 and 1515, with an unusual tower. San Miguel Church, ancient church of the Jesuits (now a parish church), built at the end of the 16th century, hosts some reredos by the early 17th-century sculptor Gregorio Fernández. The façade of the Dominican Church of San Pablo, characterized by Gothic statues and decoration built around 1500. El Salvador Church, with a façade built around 1550, a 15th-century Flemish reredos and a brick tower dating from the 17th century. The church of Santiago has reredos depicting the Adoration of the Magi (1537) created by Berruguete and, in the sanctuary, a great Baroque reredos depicting Saint James killing Moors, as is common in Spain. The Gothic church of Santa María la Antigua has an unusual pyramid-shaped Romanesque tower from the 12th century and a 14th-century Gothic sanctuary, influenced by the Cathedral of Burgos. The Cistercian Convent of Santa María la Real de las Huelgas, originally built about 1600, following Spanish Mannerist tendencies. The Convento de Santa Ana, a Neoclassical building housing various paintings by Francisco de Goya. San Juan de Letrán Church, featuring a Baroque façade built in 1737. Beside this church is the Monasterio de los Padres Filipinos, designed by the architect Ventura Rodríguez in 1760. Main facade of the Colegio de San Gregorio, this houses the National Sculpture Museum. The luxury sports cars of Tauro Sport Auto are manufactured in Valladolid. The heart of the old city is the 16th-century Plaza Mayor, presided over by a statue of Count Ansúrez from 1903. On one side of it stands the City Hall, an eclectic building dating from the beginning of the 20th century, crowned by a clock tower. In the nearby streets is the Palacio de Pimentel (Pimental Palace), today the seat of the Provincial Council. It is one of the most important palaces, as King Philip II was born here on 21 May 1527. The Royal Palace (where King Philip IV of Spain and Queen Anne of France, mother of Louis XIV were born), the 16th-century Palace of the Marquises of Valverde, and that of the banker Fabio Nelli – a building with a Classicist stamp built in 1576 – should also be pointed out. The Museum of Valladolid occupies this complex, exhibiting a collection of furniture, sculptures, paintings and ceramic pieces dated from Prehistoric times to the present. The Teatro Lope de Vega is a theater built in the classical style in 1861 and now very run-down. There has been controversy over whether the city should pay to restore it. The Campo Grande, a large public park located in the heart of the city, dates back to 1787. The National Sculpture Museum is site in Colegio de San Gregorio, an Isabelline style building. It is home to polychrome carvings made by artists like Alonso Berruguete or Gregorio Fernández. The Museum of Contemporary Spanish Art, located in the Patio Herreriano, one of the cloisters of the former Monastery of San Benito, preserves more than 800 paintings and sculptures from the 20th century. The University, whose Baroque façade is decorated with various academic symbols, and the Santa Cruz College, which as well as housing a library forms one of the first examples of the Spanish Renaissance. the Casa de Cervantes, where the author of Don Quijote lived with his family between 1603 and 1606. It was in this house where the writer finished his masterpiece. The Christopher Columbus House-Museum is located in what is thought to be the residence of the Genoese navigator in the last years of his life. Nowadays the palace exhibits various pieces and documents related to the discovery of America. The house where José Zorrilla was born, housing various personal possessions, furniture and documents that belonged to the Romantic writer. As of the 2013 census, the population of the city of Valladolid proper was 309,714, and the population of the entire urban area was estimated to be near 420,000. 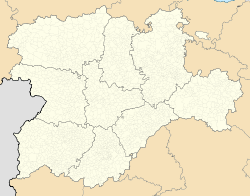 The most important municipalities of the urban area are (after Valladolid itself) Laguna de Duero and Boecillo on the south, Arroyo de la Encomienda, Zaratán, Simancas and Villanubla on the west, Cigales and Santovenia de Pisuerga on the north, and Tudela de Duero and Cistérniga on the east. Valladolid is a major economic center in Spain. The automotive industry is one of the major motors of the city's economy since the founding of FASA-Renault in 1953 for the assembling of Renault-branded vehicles, which would later become Renault España. Four years later, in 1957, Sava was founded and started producing commercial vehicles. Sava would later be absorbed by Pegaso and since 1990 by the Italian truck manufacturer Iveco. Together with the French tire manufacturer Michelin, Renault and Iveco form the most important industrial companies of the city. Besides the automotive and automotive auxiliary industries, other important industrial sectors are food processing (with local companies like Acor and Queserías Entrepinares and facilities of multinationals like Cadbury, Lactalis or Lesaffre), metallurgy (Lingotes Especiales, Saeta die Casting...), chemical and printing. In total 22 013 people were employed in 2007 in industrial workplaces, representing 14.0% of total workers. The main economic sector of Valladolid in terms of employment is however the service sector, which employs 111,988 people, representing 74.2% of Valladolid workers affiliated to Social Security. The construction sector employed 15,493 people in 2007, representing 10.3% of total workers. Finally, agriculture is a tiny sector in the city which only employs 2,355 people (1.5% of the total). The predominant crops are wheat, barley and sugar beet. Top 10 companies by turnover in 2013 in € million were : Renault (4 596), Michelin (2 670), IVECO (1 600), the Valladolid-based supermarket chain Grupo El Árbol (849), cheese processing Queserías Entrepinares (204), sugar processing Acor (201), service group Grupo Norte (174), automobile auxiliary company Faurecia-Asientos de Castilla y León (143), Sada (129) and Hipereco (108). The airport is located in Villanubla, Valladolid Airport has connections with Barcelona, Málaga, and the Canary Islands. Valladolid is also integrated into the Spanish high-speed network AVE. Madrid–Valladolid high-speed rail line was inaugurated on 22 December 2007. It Includes a tunnel of 28 kilometres (17 mi) at Guadarrama, which is the fourth longest train tunnel in Europe. Valladolid will become the hub for all AVE lines connecting the north and north-west of Spain with the rest of the country. Trainsets used on this line include S-114 (max speed 250 km/h (155 mph)), S-130 (Patito, max speed 250 km/h (155 mph)) and the S102 (Pato, max speed 320 km/h or 199 mph). This line connects the city with Madrid, which can be reached in 56 minutes. There are also many highways that connect the city with the rest of the country. It is even possible to get to the south of Spain in around six hours by the new highway, Autovía Ruta de la Plata, or Autovía A-66, which is free (like most highways in Spain). Urban transit system was based on the Valladolid tram network from 1881 to 1933. A public urban bus system started in 1928, managed by different private tenders until 1982, when the service was taken over by the municipality. Today the public company AUVASA operates the network, with 22 regular lines and 5 late night lines. The city is also host to one of the foremost (and oldest) international film festivals, the Semana Internacional de Cine de Valladolid (Seminci), founded in 1956. Valladolid, through various loopholes in state censorship, was able to present films that would otherwise have been impossible to see in Spain. An award or an enthusiastic reception from the audience and the critics meant, on numerous occasions[specify], that the official state bodies gave the go-ahead to certain films which Francisco Franco's regime considered out of line with their ideology. Much the same occurred with distribution on the arts circuit at the end of the 60s: a film could be placed more easily if it had previously done well at Valladolid. Even after the death of Franco in 1975, Valladolid continued to be the "testing ground" for films which had been banned. For example, the premiere in Spain of Kubrick's A Clockwork Orange at the 1975 festival is still recalled as a landmark. As one of Europe's oldest festivals, Valladolid has always been characterized by its willingness to take risks and to innovate in its programming. It has also been keen to critically examine each new school or movement as it has arisen, whether it be German, Polish, Chinese, Canadian or otherwise. With a genuine concern for the art of cinema, for film-making and film-makers rather than the more obvious commercial or glamorous aspects of the industry, the festival has built up an identity of its own – equally attractive to enthusiasts, professionals and the media. The lechazo asado (roasted lechazo), is a very typical dish from the province, and others like the Cochinillo asado (roast suckling pig). Although an inland province, fish is commonly consumed, some brought from the Cantabrian Sea. Fish like red bream and hake are a major part of Valladolid's cuisine. The main speciality of Valladolid is, however, lechazo (suckling baby lamb). The lechazo is slowly roasted in a wood oven and served with salad. Valladolid has a bread to go with every dish, like the delicious cuadros from Medina del Campo, the muffins, the pork-scratching bread and the lechuguinos, with a pattern of concentric circles that resemble a head of lettuce. The pastries and baked goods from the province of Valladolid are well-known, specially St. Mary's ring-shaped pastries, St. Claire's sponge cakes, pine nut balls and cream fritters. Valladolid is also a producer of wines. The ones that fall under the Designation of Origin Cigales are very good. White wines from Rueda and red wines from Ribera del Duero are known for their quality. Holy Week holds ("Semana Santa" in Spanish) one of the best known Catholic traditions in Valladolid. The Good Friday processions are considered an exquisite and rich display of Castilian religious sculpture. On this day, in the morning, members of the brotherhoods on horseback make a poetic proclamation throughout the city. The "Sermon of the Seven Words" is spoken in Plaza Mayor Square. In the afternoon, thousands of people take part in the Passion Procession, comprising 31 pasos (religious statues), most of which date from the 16th and 17th centuries. The last statue in the procession is the Virgen de las Angustias, and her return to the church is one of the most emotional moments of the celebrations, with the Salve Popular sung in her honour. Easter is one of the most spectacular and emotional fiestas in Valladolid. Religious devotion, art, colour and music combine in acts to commemorate the resurrection of Jesus Christ: the processions. Members of the different Easter brotherhoods, dressed in their characteristic robes, parade through the streets carrying religious statues (pasos) to the sound of drums and music. Valladolid's main association football club is Real Valladolid, nicknamed Pucela, who play in the country's first league, La Liga. Players who went on to play for the Spain national football team include Fernando Hierro, José Luis Caminero and Rubén Baraja. Real's stadium, the Estadio Nuevo José Zorrilla, was built as a venue for the 1982 FIFA World Cup and in preparation staged the 1982 Copa del Rey Final. CB Valladolid is the city's basketball team and they play in the Liga LEB Oro. Arvydas Sabonis and Oscar Schmidt played in this team. The matches are held in the Polideportivo Pisuerga. In handball Valladolid is represented by BM Valladolid of the Liga ASOBAL. They have won 2 King's Cup, 1 ASOBAL Cup and 1 EHF Cup. They play their games in the Polideportivo Huerta del Rey. Rugby union is a very popular sport in Valladolid. CR El Salvador, current champions of Spain's División de Honor de Rugby compete in the European Challenge Cup. They play their matches at Estadio Pepe Rojo. VRAC, current champions of the King's Cup, also plays in the same stadium. The Plaza de toros de Valladolid is the main bullring in Valladolid. It has a capacity of 11,000 and it opened on 29 September 1890. ^ "Instituto Nacional de Estadística". Retrieved 25 January 2018. Population figures from 2017. ^ a b "Instituto Nacional de Estadística, Padrón 2013". Archived from the original on 21 March 2014. Retrieved 5 April 2014. Population figures from 1 January 2013. ^ "Valores climatológicos normales. Valladolid" (in Spanish). Agencia Estatal de Meteorología. Retrieved 20 August 2014. ^ "Valores extremos. Valladolid Aeropuerto" (in Spanish). Agencia Estatal de Meteorología. Retrieved 22 September 2012. ^ "Accueil"/"Inicio." Lycée Français de Castilla y León. Retrieved on 13 February 2015. "Avenida de Prado Boyal, n° 28 47140 – Laguna de Duero Valladolid (ESPAÑA)"
^ ÍÑIGO SALINAS (27 August 2008). "De la Riva confía en que las obras del Lope de Vega salgan adelante". El Norte de Castille (in Spanish). Retrieved 10 November 2011. ^ World Cup 1982 finals. Rsssf.com. Retrieved on 2013-09-05. ^ a b c d "Valladolid ratifica su hermanamiento con la ciudad italiana de Lecce". El Mundo. 10 September 2010. ^ "Valladolid sella su hermanamiento con la ciudad italiana de Lecce". 20minutos.es. 16 July 2009. Wikimedia Commons has media related to Valladolid. Wikivoyage has a travel guide for Valladolid (Spain).